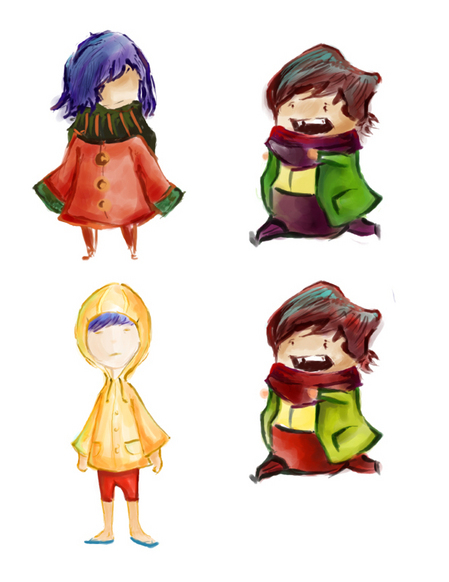 Here are a few more sketches for characters in the game. Deciding on a main character was hard! Once the team figured out that the main aesthetic was to be a little girl/boy in a strange landscape, it took a bit of work to get the balance right between cuteness, innocence, darkness, and strangeness. Who is she/he? Why is she here? In the end, we decided not to answer these questions explicitly. Maybe these pictures will at least help you figure out who she/he isn't.